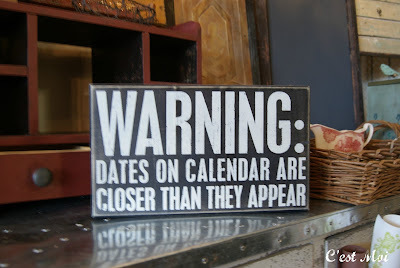 Yes, Valentine's Day is only three weeks away! 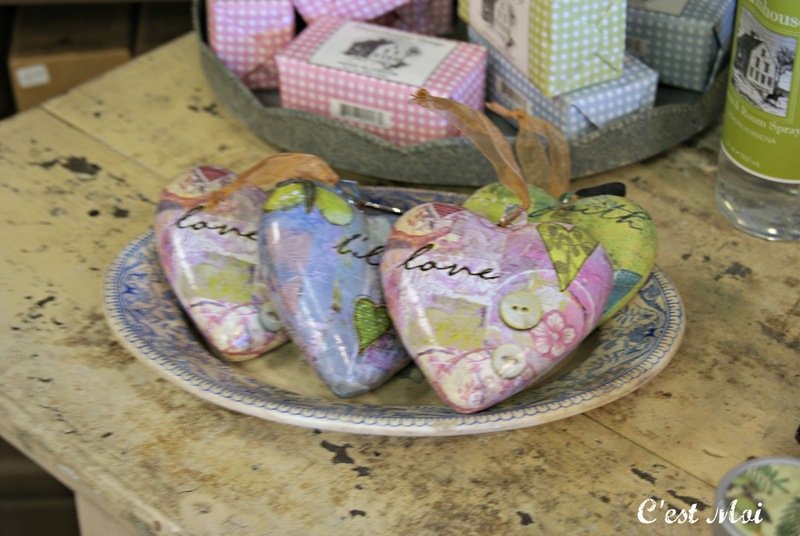 That means the shop is full of adorable "lovies," like this decorative hearts. They're more subdued than the usual red and white Valentine hearts, but they still send the same message. We love them grouped together like they are here. The message on this lovey is clear: "Have only one rule: Be your wild, courageous, brilliant self every single day. No matter what." What a great, encouraging gift to pass to someone you love! 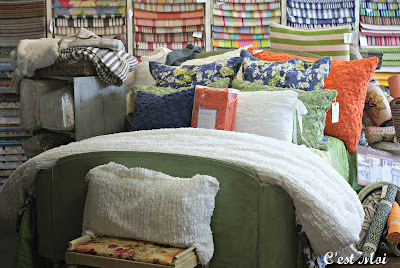 Not to mention, the fun mixture of bright colors and patterns is to die for! Terrariums usually aren't the first things that come up when talking about Valentine's Day, but they're just too cute not to show off. 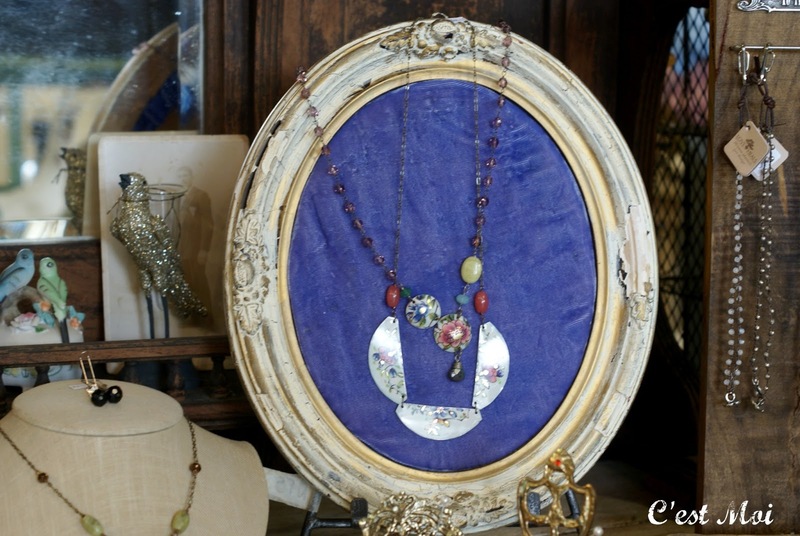 We love to group different styles together to create a layered look. 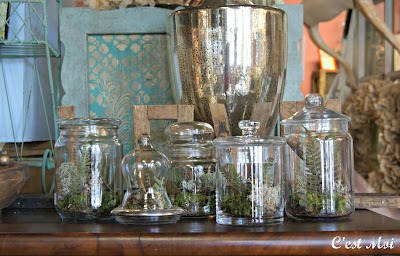 The combination of clear glass with simple, natural colors is a clean and classic look that's perfect in every home. 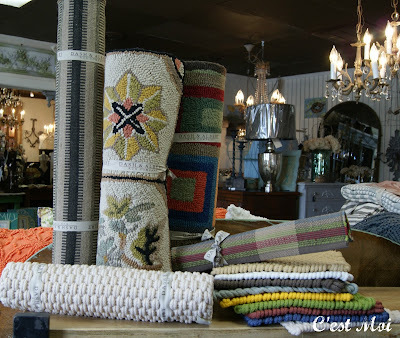 Finally, we can't miss an opportunity to talk about our Dash and Albert rugs! We've just received several new styles, so be sure not to miss out. There are plenty of materials, colors, sizes, and patterns to choose from! We'd like to start this year with a bang, so we're offering 15% off bed linens (including custom orders) throughout the entire month of January! 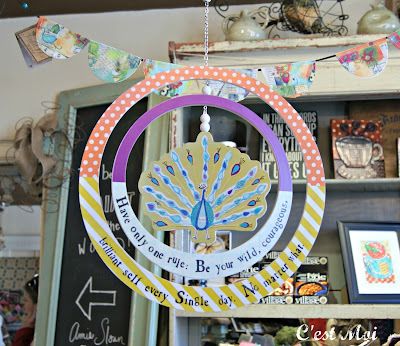 We offer lines by Pine Cone Hill, Amity, and Pom Pom. 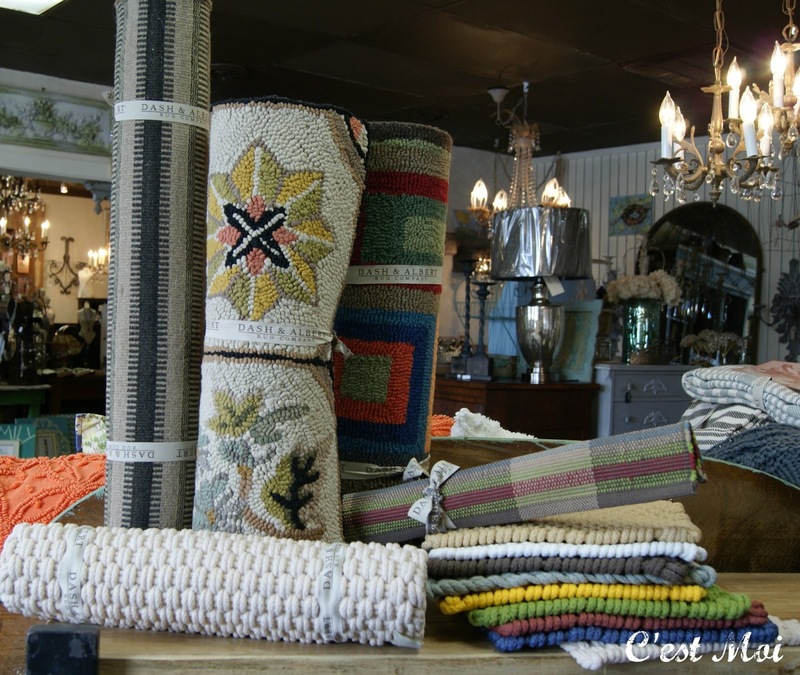 It's the perfect time to pick up something cozy for your bedroom, whether you're looking for simple muted shams or a vibrant coverlet to add to your collection. We'd also like to introduce you to the amazing jewelry of local artist Beth Robinson, of Giftworldz. 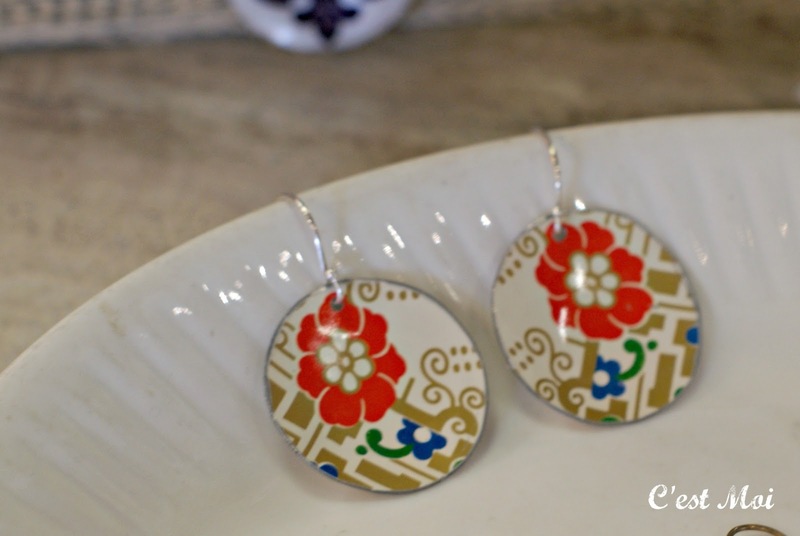 She creates beautiful pieces like these graphic earrings from antique tins and other salvaged materials. When you buy a piece from Beth's line, you know it's a unique, one of a kind work of art that no one else will have. It only makes us love her jewelry even more! You know we can hardly go one week without mentioning a new piece of furniture. 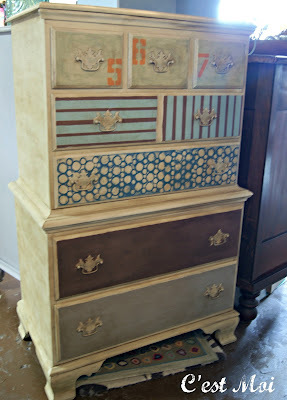 This dresser was really fun to make over; those of us at the shop used teamwork to create a scrapbook of sorts! We used CHALK PAINT™ by Annie Sloan, implementing a different technique for each level of drawers. Those techniques include a wash, taped off lines, stencil work, and custom color mixtures. It doesn't get much more creative than that!